It's the 14 August 2010 and the bookies have announced they have stopped taking bets on Prince William and Kate Middleton tying the knot in 2011 (spoiler alert: they did on the 29 April 2011), the University of Kentucky was telling us that a sugar rush could actually help us swallow bad news a bit better and researchers at the University of California in San Diego were telling us that those suffering from vivid dreams could rejoice in the knowledge that this may mean they are better problem solvers and help improve their memories. Meanwhile on the Alps, the appointed Medical Officer Adam was wondering how to solve a problem like diarrhea and altitude sickness. 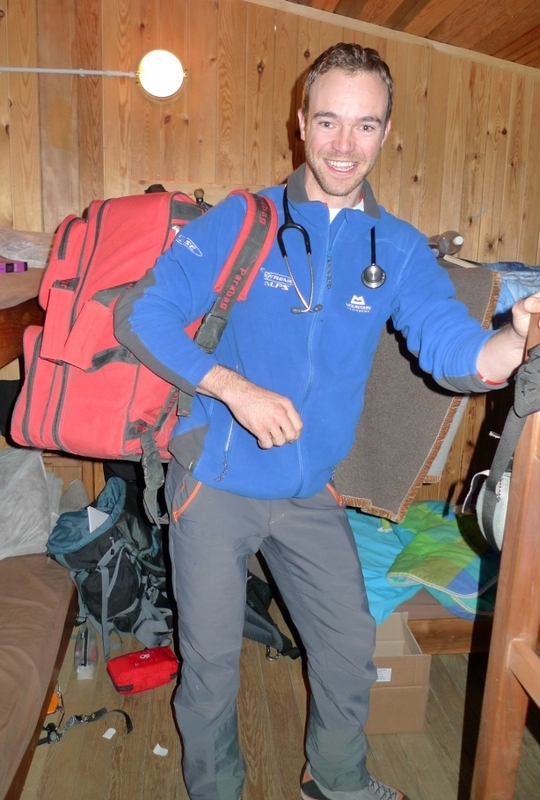 As the Medical Officer for the Xtreme Alps team, it has been my job to keep the team members as healthy as possible, so that research can go ahead as planned. Back at home I am a GP, and I am also a keen climber. My day to day routine on the expedition has involved dealing with all medical problems that arise, and then seeing people with ongoing illness about three times per day to check on their condition and assess the need for further treatment. The two main illnesses we have encountered as a team are stomach infections, and altitude illness, both common problems on expeditions of this nature. Several people caught stomach infections at the Gnifetti Hut. This illness results in diarrhoea and vomiting, which often leads to dehydration. It is important to treat this aggressively at altitude because dehydration can make altitude illness worse. Treatment of team members with stomach infections was with antibiotics and increased drinking. Hand hygiene has also been crucial to prevent spread around the group. All affected team members have been treated successfully. Most of the group has been affected by altitude illness to varying degrees. This was compounded by a rapid ascent to the Margherita Hut because of a bad weather forecast for our preferred day of ascent. Altitude illness is characterised by a headache, and affected individuals may also feel sick, dizzy, tired and often find it difficult to sleep. Often these symptoms are most severe when people arrive at a new high point (or after spending a night there). Arriving at the Margherita hut was no exception! Symptoms settle down as people acclimatize to a particular altitude. However, some individuals do not acclimatize well, and a few expedition members have required treatment with acetazolamide, a drug which aids the acclimatisation process. In extreme cases a strong steroid called dexamethasone is required as well ? I used this on two members of the Xtreme Alps team who are both now back to full health. 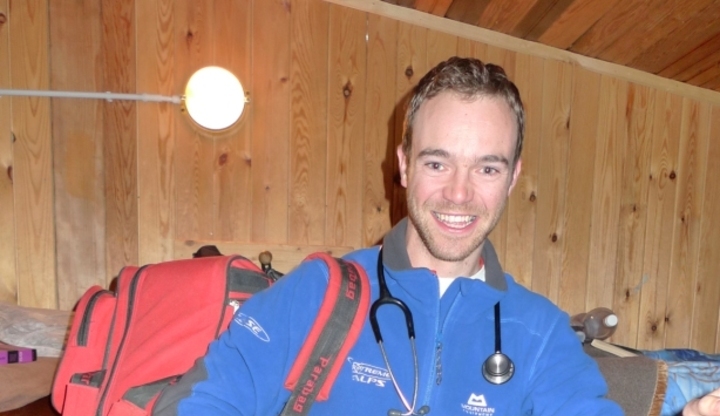 Being the Medical Officer for the Xtreme Alps team is a great experience. The team is acclimatized and the stomach infections have settled, so I can get on and help with research. Naturally, I will remain on hand 24hrs a day in case anyone else gets ill, one of the perks of being the medical officer!